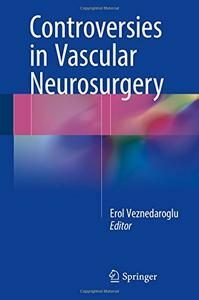 This concise, easy-to-use book offers expert insights into current controversies in vascular neurosurgery with a view to providing the practitioner with authoritative practical guidance that will assist in the management of difficult disease entities. While vascular neurosurgery has undergone unprecedented advances during the past decade, enabling safer and easier access to previously untreatable pathology, this progress has been accompanied by confusion as to what constitutes best, or even acceptable, practice. Here, experts in the field discuss the various tools available and explain how best to use them when confronted by different pathologies, drawing upon their personal experience. Each chapter focuses on a specific case that is discussed by two experienced surgeons; a third author then evaluates the case, highlighting the available evidence and pearls in the treatment of that particular disease. The authors have been carefully chosen to provide a truly balanced viewpoint on paradigms that they themselves use. They therefore have a sound understanding of the thought processes of surgeons when dealing with challenging diseases for which there may be no single correct path. Furthermore, they are well placed to identify not only appropriate uses of new treatment options and technologies but also circumstances in which their use is best avoided. The ultimate benefactor of this book will be the patient: our biases as physicians should never become a patient’s morbidity.